The tocapu is a small square script found on Incan textiles and wooden vases. Click the figure below to see the interactive illustration of successive Golden Rectangles dividing a Golden Rectangle into squares. 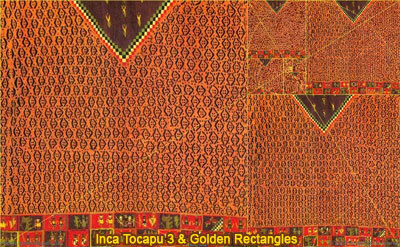 Inca Tocapu 3 and Golden Rectangles.